This is the ultimate option for teaching your kids to ski. This package of private lessons is sure to spark a lifelong passion for skiing. The one-on-one tuition means that each 45 minute to 1 hour lesson is tailored perfectly to ensure continuous skill development and a whole winter of fun for each child. *Limited space per time slot, maximum 2 private lesson spots available per time slot per day. 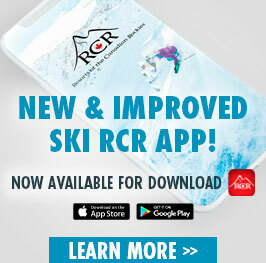 For Little Rippers that cannot get enough skiing! 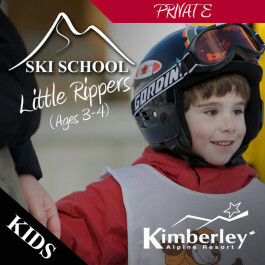 NEW ½ Day Little Rippers 2 hour private lesson package is sure to spark a lifelong passion for skiing. The one-on-one tuition means that each 2 hour lesson is tailored perfectly to ensure continuous skill development and a whole winter of fun for each child. *Limited space per time slot, maximum 4 private lesson spots available per time slot per day. Fun & Games! 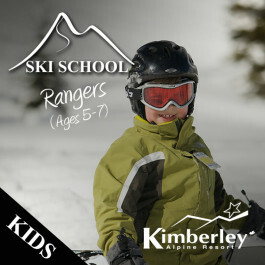 Kimberley’s Alpine Rangers ski or snowboard camps, where the learning is always fun! 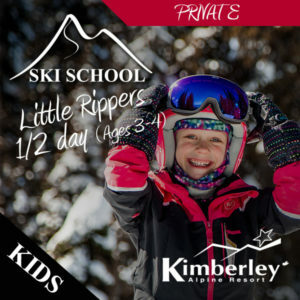 Small class sizes (max 6) and our high energy & enthusiastic instructors use games and guided discovery teaching to develop the fundamental skills to become an accomplished skier or snowboarder. This program is sure to have your kids meeting new friends and excited for their next lesson. The all day program includes lunch with supervision. *Minimum booking requirements must be met for program and session to run. We reserve the right to cancel or request students to consider other options due to min booking levels not been met for all multi week programs. Our most popular Camps! 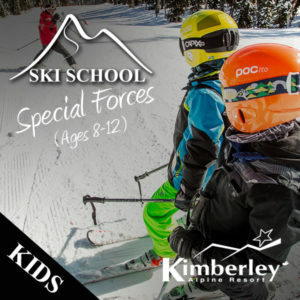 Kimberley’s Mountain Special Forces ski or snowboard camps, are a fun and social way for the kids to develop their fundamental skills. Beginner to intermediate (never ever, bunny hill, and green runs) skiers will be challenged to take their riding to the next level. The whole time our skilled coaches take special care to create exciting, social atmosphere for the kids to form season long friendships while improving their skills. Program includes lunch with supervision. Minimum booking requirements must be met for program and session to run. We reserve the right to cancel or request students to consider other options due to min booking levels not been met for all multi week programs. Fast Paced and Exciting! 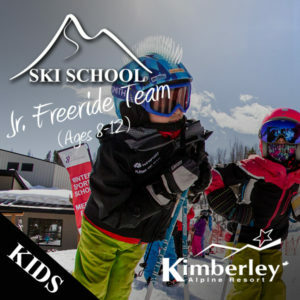 Kimberley’s Jr. Free Ride Team ski or snowboard camps, are for kids comfortable on blue runs + some black runs that are now looking for more challenge. Our coaches will develop your kid’s skills to ride the entire mountain with more confidence and control. 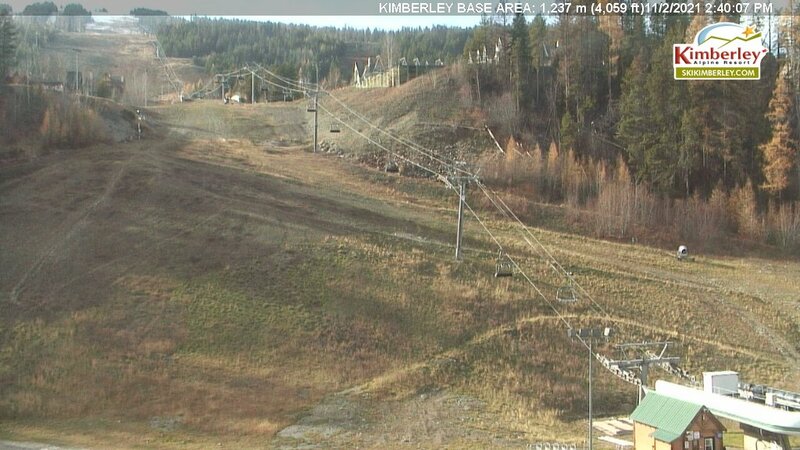 Jr. Freeriders will spend their time skiing & riding the black forest glades, bumps, powder and steeps. Our coaches will guide the kids through a fun fast paced adventure in a safe and structured way. Program includes lunch with supervision. Meet new friends and discover a new sport! 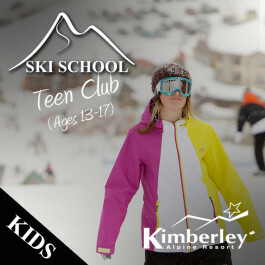 Kimberley’s Teen Club coaching sessions, are for teens who never had the chance to take up skiing or snowboarding as a kid. Taught by our qualified young adults / teens that can relate to teens, guaranteed to be fun social good time! 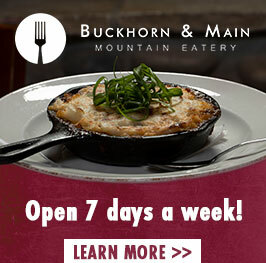 Grab a couple friends and come take up or improve your skiing or snowboarding skills. Friends learning with friends, you will be riding more of the mountain in no time! Program includes lunch with supervision. Shred the Mountain! 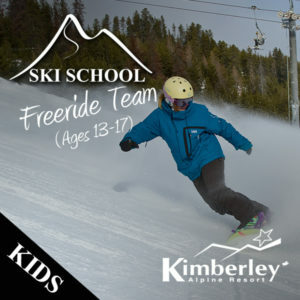 Kimberley’s Free Ride Team coaching sessions, are for advanced to expert skiers & boarders who want to explore the world of competitive big mountain skiing or boarding. 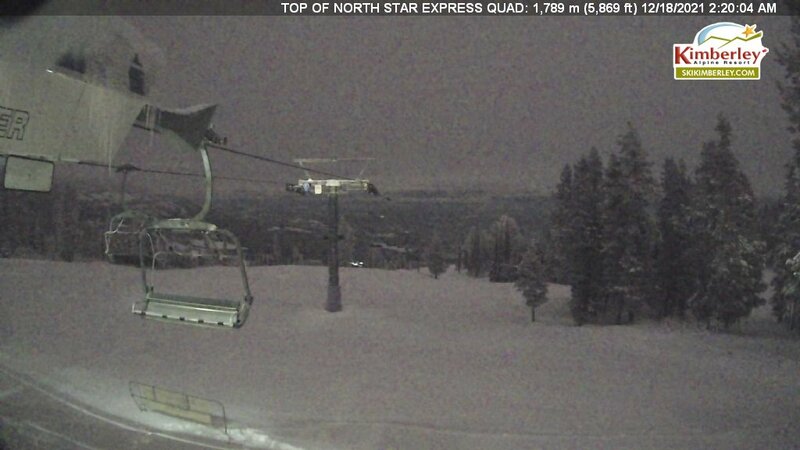 Leave your parents in the parking lot, hook up with your buddies and get ready to Shred the entire mtn. Taught by our dedicated high performance coaches, this program is focused on developing the skills and styles needed to move into the world of Competitive Freestyle. 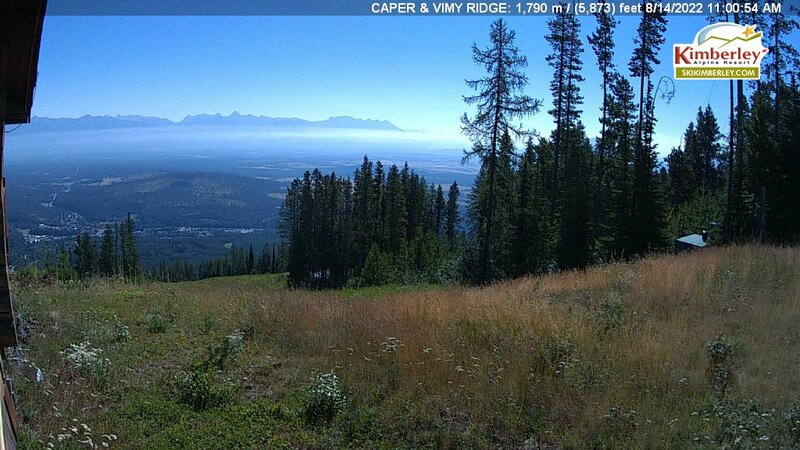 Be ready to be challenged, pushed to new limits, and develop respect for the mountain environment. Program includes lunch with supervision.